I only returned to the hobby this year, after a long absence (10 years from GW, 6 from any kind of mini wargame) and I’ve found that blogging has added a new dimension to what I do, not least of which is sharing things with people online, and picking things up from them. 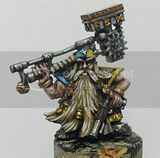 I wanted to make a post that went beyond my DH army and reassured anyone who reads my ramblings and looks at my figures that I won’t be stopping blogging once this army is complete, as I am nearing completion of the 1k points I started this blog to document. Admiral Drax uses a “painting points” system and I believe he nicked it from someone else who may have kiced it from someone else etc etc. Needless to say lots of people use it Long story longer, I decided to add up my points for the year, this is apt to be scary as I’ve been very busy with this hobby since immersing myself back into it. And each point is a pound the painter can spend. Now theres no way I can do that, because quite frankly I’ve painted a LOT this year. By my reckoning I’ve got 363 painting points. Ouch. 30 boys, 6 nobs, 3 deffkoptas, 1 warboss and a trukk a 10 man tac squad,a 5 man assault squad, a 5 man counts as sternguard squad, a dreadnought, a chaplian, a captain, a librarian, a razorback and 5 termies. (and on this blog) 22 ist’s, 4 acolytes, 3 heavy bolter servitors, 2 sages, 4 servo skulls, 2 chimeras and 2 elites. I’ve also built a table and created 4 barricades, 2 tank traps, 3 large ruins, 4 hills, 6 woods, 3 craters, 1 statue, a bunker and an ammo dump. Still on the table, as in I’ve got all the bits and am ready to go, are three more acolytes, my Lord, between one and three Daemonhosts, twenty guardsmen, a command squad, two more chimeras and two leman russes. I also Intend to make 5 meganobs and a mega armoured warboss for my orks and finish painting the aobr tac squad for my ultras. That makes -153 painting points, or a potential 153 more in the next few months. I’ve also begun work on a 6`x4` cityfight gaming table which will have a huge amount of scenery on it. sheesh it sounds like a lot when I lay it all out like that. regardless while this blog might become more about allies and aliens than just the DH it's been so far, it wont stop, in case you were wondering. now to explain to my missus I am owed 363 quid's worth of models because of these points, hrm. I believe the original points system was thought of by Lone Pilgrim (http://blog.lonepilgrim.co.uk/). Keep up the good work anyway, I enjoy reading your blog. Hey, thanks for the shout out! There's nothing more intimidating for a hobbyist than to list in black and white all the things that are yet to be painted/assembled. I'd say 363 painting points in 6 months is a pretty hearty sum, so well done! 'Justify' really is the word. Sadly, for me it's purely theoretical at the moment...but it's not like I'm short of stuff to paint! And yeah - I nicked it from Lone Pilgrim, whose stuff is really interesting! Props to lone pilgrim then :) and thanks for the comments guys. I suppose the most difficult part of "justifying" new purchases is having unpainted old purchases, I do/am doing okay getting what I have painted, mainly because as a teenager in the hobby I had a lot of unpianted stuff, and I'd like to think I've come a long way since then. I will play with grey, but I'd rather not. painting points is a good way to say "I've done this" especially for me, where my painted stuff is, out of stirage neccecity, not on "display" to walk past and think that.